The world of online casino has seen a revolution since the start of the decade and it’s not difficult to see why. As the world has slowly grown to rely more and more on technology, casinos have migrated online as a way of enticing new players to join and play some of their games. One thing you’ll notice about online casinos are the changes and improvements that are made on a daily basis and these advancements mean that standing still is not good if you want to remain relevant. As changes are being made, joining and playing at an online casino has never been a more popular activity to take part in. Some of these changes include obvious benefits that you won’t see in land-based casinos. Things like no closing hours, as online casinos operate on a 24/7 basis. A wide range of casino games that you can’t find in physical casinos, as well as casino bonuses. The welcome bonus has become a staple of the online casino industry, with operators using them as a means of ensuring new players sign up and receive some of the superb benefits that can be found online. Some require bonus codes, while others don’t even require a first deposit to be made. This just shows the scale in difference between casino bonuses and what’s on offer. At onlinecasino.ie, we’ve looked through and examined a vast range of casino bonuses and offers online to help you, the player, decide which are the best casinos to join and win big jackpots from. 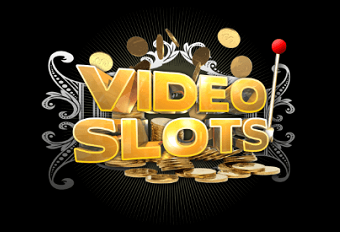 We’ve looked at the welcome bonus that’s on offer at Videoslots Casino and have concluded that it’s one of the best available anywhere in the online casino industry. New players at Videoslots can expect a first deposit bonus up to €200 when they register at the site. A first deposit bonus is quite easy to follow. It is essentially a bonus amount that players can receive once they make a first deposit on a casino site. The 100% bonus up to €200 offer is available for use as soon as you have made your first deposit and players have to go to their profile and click on the “My Bonuses” tab to activate it. There is also an extra €10 cash on offer once players have made their first deposit on top of the 100% deposit bonus offer. These are available to new customers only and bonus funds must be wagered 20 times before a withdrawal can be made. Videoslots’ welcome offer is good, but there’s little else of interest for players who want to participate in promotions at this online casino. There’s no “Promotions” tab on their site, which is rare among online casinos. Instead, there’s a page for their Weekend Booster, where players can win up to €300 per day. It takes place every Friday and is based on the total amount of bets placed during the week and is dependent on what games you’ve played. To work out how much you win, the more you bet throughout the week, the more you get in the Weekend Booster. These Booster winnings have no wagering requirements attached to them. Enjoy playing casino on the go! The world moved online around the turn of the century, but what’s now becoming ever more popular is accessing the internet whilst on the move. The mobile casino is one of the great innovations of recent times and players now have the opportunity to play casino games while on the move. Playing on tablet or mobile devices has made gameplay much more accessible to all casino-goers out there, which means that the outreach has been enhanced. Mobile gaming has allowed players to enjoy all their favourite casino games, whether its blackjack, roulette or poker, from wherever they want, whenever they like. When you accept any bonuses, including free spins, jackpots and other cash prizes, you must first check the specific terms and conditions of use for your casino bonus before you start enjoying it. All offers, whether it’s deposit bonuses, free spins or boosted winnings, have conditions specific to them. Wagering requirements are also a regular and vital part of any welcome bonus. These are requirements that you must meet in order to make a withdrawal from the bonus. At Videoslots, wagering is set at 20x and jackpot games do not contribute to bonus conversion. Players who make deposits through e-wallets like Skrill and NETELLER are eligible for this offer.